Home Remedies: Located at 83 West Commercial Street in Portland, Maine is a gem! Portland was in dire need of a resource such as this! Everything about this place oozes cool, it is nestled in the middle of the historic Star Match Factory building on West Commercial Street (beyond the Casco Bay Bridge if you are coming from downtown). The space is über cool (and I do not use this term lightly), it has the original wood floors, exposed brick walls, high ceilings and wonderful light! 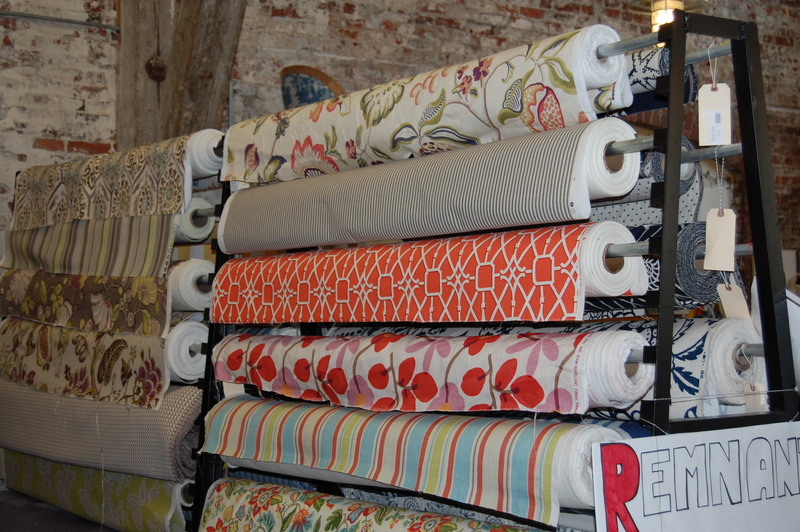 Home Remedies has become the go to place for fabric goods; they have a wonderful in house workroom (that does some of the best upholstering in the area), they have an extensive selection of unique fabrics and they sell Mitchell Gold + Bob Williams. Mitchell Gold + Bob Williams specialize in “relaxed design”. 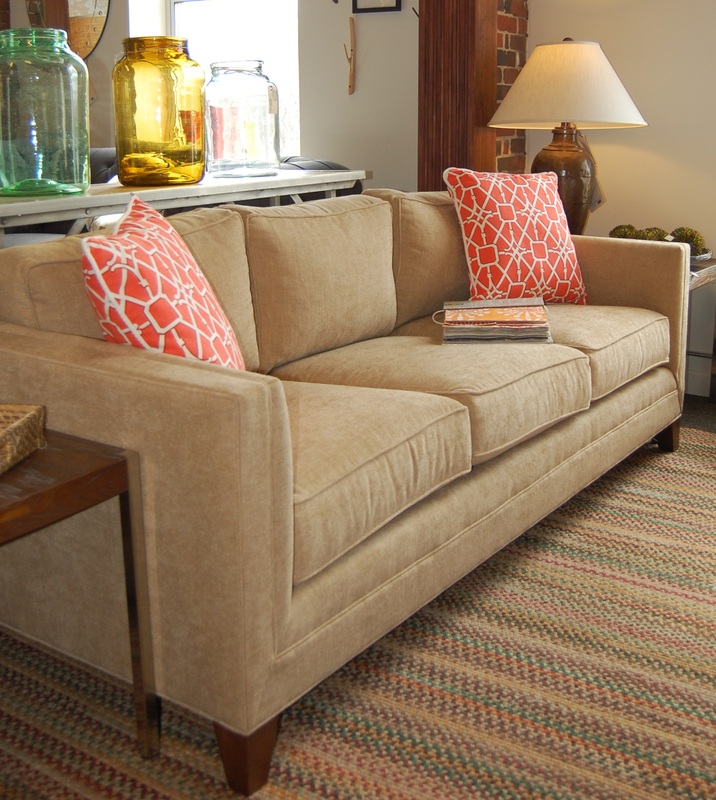 This lines huge selection has something for everyone; from classic tufted sofas to comfortable denim slip covered chairs. You can select one of the numerous fabrics available to customize a piece or you can choose from one of the many in store items for immediate delivery (personally I love instant gratification). Rachel Ambrose (owner), Lisa Hincher (manager), and Rosa (store dog) are very knowledgeable and possess the design savvy to help you with any of your decorating dilemmas! They have stocked a fabulous selection of hip fabrics, which is forever changing; they stay on top of trends (refreshing in this area)! You might go into the store with the intention of talking to them about custom curtain panels and leave with a set of napkins or even a dog bowl! I love this place because there is something unexpected and unique everywhere you turn. Thank you for coming to Portland, Maine! 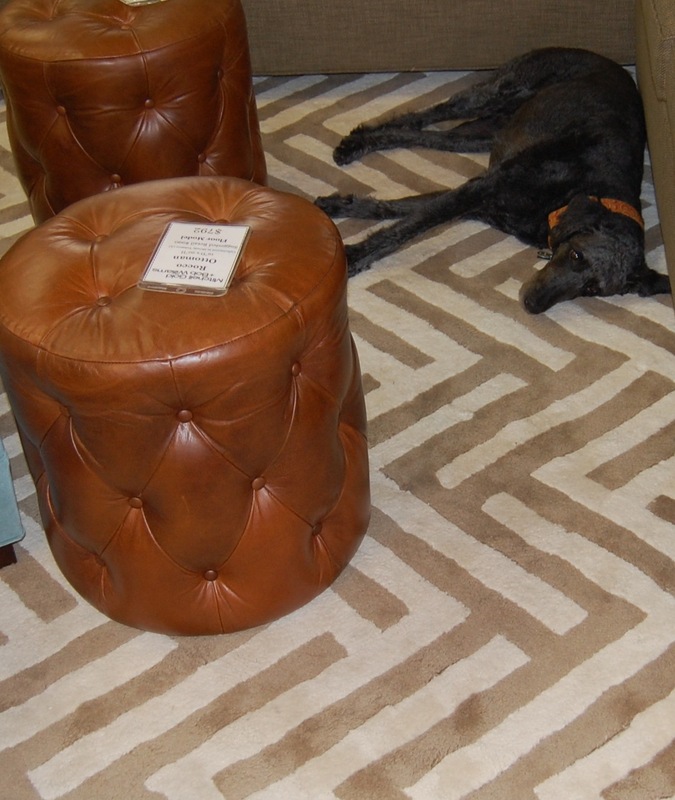 Rosa resting on great chevron rug! 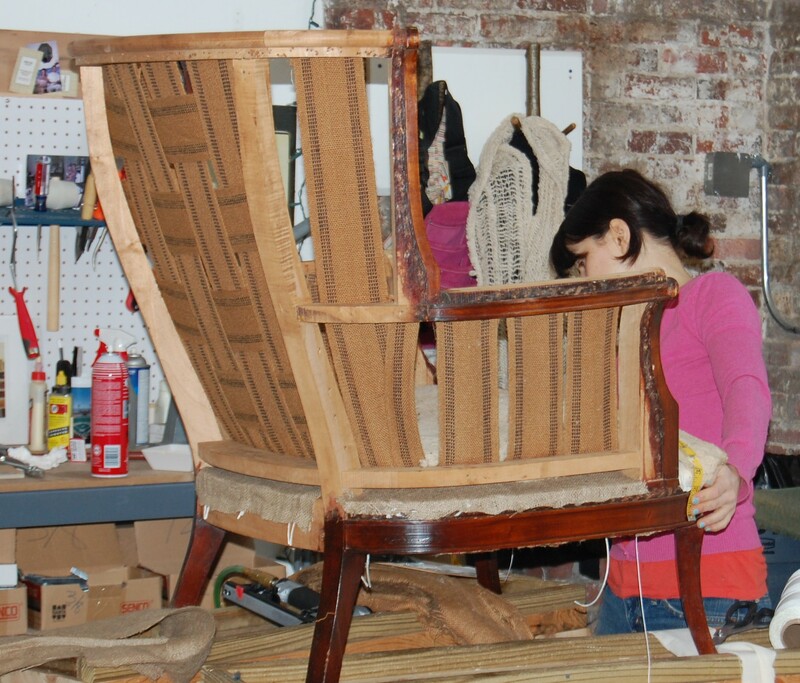 The upholstering workroom is in the back of the store, it is very cool to see the process. I have had several items done and they have all been real transformations. I love to see them at work it inspires me! If you have resources like this in your area please let us know! We are building a list of hot home stores all over the country! Thanks for reading our blog.